Will China Dominate The Wine Industry Too? China’s wine industry has exploded in recent years, with the number of wineries more than doubling over the past decade, propelling the country past Australia to become the world’s 7th-largest producer. What is driving this fast-paced growth and is the quality of Chinese wine improving? “They make wine in China? !” is the most common reaction we get outside of the region, even from people in the trade. People who have been to China and tried local wine are not impressed with the most common brands. Indeed, the first time a Chinese wine took home Decanter magazine’s international trophy in 2011, the news was met with shock and skepticism. But, as Beijing-based wine blogger Jim Boyce points out, Chinese wines have performed well in international competitions and in the tasting notes of prominent critics for years. Regular tasting reports by Jancis Robinson, a leading British wine critic, tell a story of vast improvements in quality, and in 2014, China was mapped for the first time in the World Atlas of Wine. 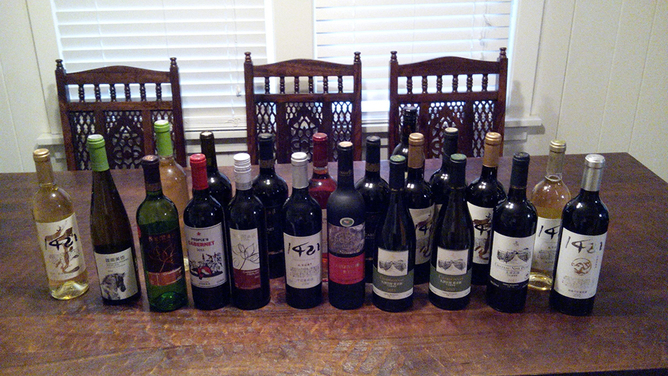 The excellent wine is especially impressive given the serious obstacles to growing top-quality grapes in China. Each of the major wine-growing regions comes with its own challenges and opportunities. In Northern provinces like Ningxia, Shanxi or Xinjiang, summers are conveniently warm and dry, but in the fall, growers have to race against the arrival of temperatures so cold that they have to bury the vines. This is very costly in terms of labor and puts pressure on growers to harvest earlier than they might wish, so that the vines can be buried in time. Meanwhile, in the East Coast province of Shandong, vines are safe throughout the mild winter, but face rot and infection as soon as the rain picks up in the summer and early fall. Less immutable than climate, political institutions also shape the progress of wine. The collective ownership of rural land makes it difficult for wineries to establish control over vineyards. Many producers have to source grapes from hundreds of small holders, so that securing a consistent supply of high-quality grapes is a challenge. Moreover, contracts with farmers can be hard to enforce. The longer a winemaker waits for optimal ripeness to call the harvest, the higher the risk that some growers will prefer to sell to a competitor who agrees to pick earlier. Yet recent successes show that it is possible to produce good wine even with this complex supply chain. Grace Vineyard, from Shanxi, overcame institutional constraints by establishing relationships with growers, providing assistance with inputs and paying bonuses for quality. In Ningxia, the young Kanaan winery, headed by talented self-taught winemaker Wang Fang, still has to buy in a large portion of the grapes for its Cabernet Sauvignon, but achieves excellent results in part thanks to good on-going relationships with a handful of trusted growers. While these successes are encouraging, working with hundreds of growers on contract remains very costly and uncertain. In Ningxia province, the local government has been eager to lease large tracts of land to wineries to promote the industry. This is a major advantage of the region, as the authorities have used wine growing as an economic development tool. Wine is even the focus of a project bringing together Ningxia’s government, the Asian Development Bank and the private sector to improve water conservation in agriculture. Ningxia’s policies have attracted investors, including multinational corporations. In Ningxia, Pernod Ricard makes well received, competitively priced wines under the Helan Mountain label, and LVMH has just released its first local Chandon sparkling wines. By becoming producers of Chinese wine, they not only promote their brand, but they also promote learning and innovation among producers. Another driver of progress is the growing nexus of global and local expertise. There is a growing supply of Chinese winemakers trained in prominent local universities. They are following the footsteps of their prominent elders, like Professors Li Hua and Li Demei, both trained in Bordeaux, who inspire and train the new generation. In addition, with so many local wineries seeking to improve quickly, the market for foreign winemaking and viticulture consultants is huge. Many are flying winemakers who come to China for regular short visits, but some foreigners have established themselves as locals. Perhaps the most prominent is Bordeaux winemaker Gérard Colin, who has been in China since 1997. He helped start acclaimed Grace Vineyard, and more recently, was the first director of DBR Lafite’s new winery in Shandong before moving on to make organic wines at Puchang winery in Xinjiang. In Southern Xinjiang, Frenchman Gregory Michel has well over a decade of experience as winemaker at Loulan winery. Collaboration between innovative local entrepreneurs and foreigners helps move Chinese wine forward. 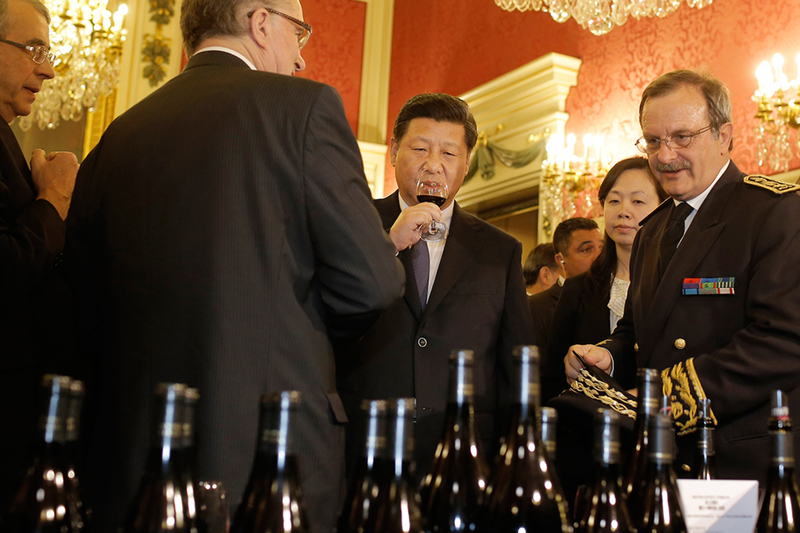 Many eyes in the global wine industry are on China’s growing consumer market, but several observers have cautioned against untempered optimism. A recent OIV report notes that although wine consumption grew very quickly from 2000 to 2012, there was a 3.8% decrease in 2013. While President Xi’s crackdown on lavish spending by government officials has hurt the high-end market, there may be a promising shift to the middle market, where more savvy consumers want good value for the money, rather than prestige. Neither extravagant spending on first growth Bordeaux, nor attempts by some local producers to appear exclusive with prices over a hundred US dollars a bottle, help build a base of local wine consumers. Many Chinese wineries are well placed to compete with mid-priced imports, by making affordable wines that a growing base of consumers can enjoy more regularly. So it is clear that China can make excellent wines and there are local consumers to buy them. 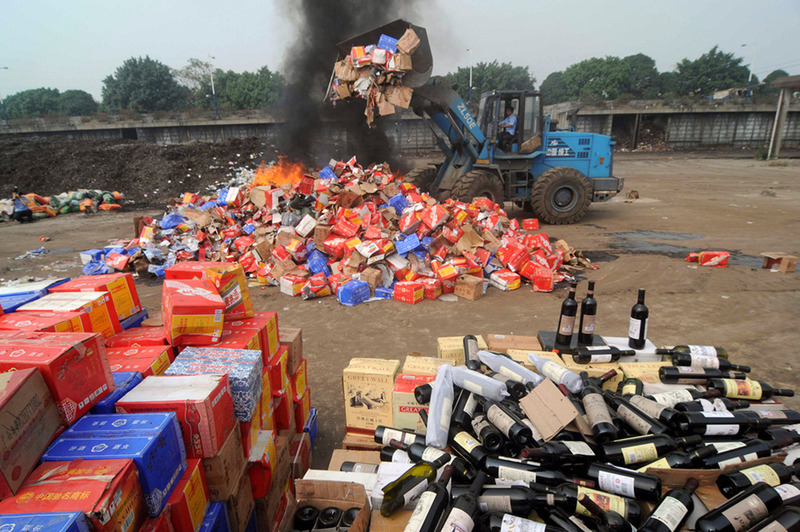 What remains to be seen is whether Chinese wines will find a spot on the crowded shelves abroad. Interestingly, you can already find a few if you look hard enough. The Dragon’s Hollow Chardonnay, made in Ningxia specifically for export to the US, is available at Total Wine and More in Reno. London fine wine merchant Berry and Rudd has four Chinese wines, including two Ice Wines from Liaoning Province. And if you dine at the Shangri La’s Ting restaurant in London, Grace Vineyard’s Tasya’s Reserve is actually the most affordable bottle of Chardonnay on the wine list. For now, Chinese wine outside of China remains a rare curiosity. But let’s remember that some of today’s firmly established New World wine countries were once largely unknown as well. Pierre Ly , Associate Professor at Puget Sound University, and Cynthia Howson, Lecturer at University of Washington, do not work for, consult to, own shares in or receive funding from any company or organisation that would benefit from this article. They also have no relevant affiliations.